Local Trooper Chad Seamans weighs bricks of marijuana and bags of cocaine. Local Trooper Makes Sizeable Drug Bust, SEVEN OAKS, December 3, 2012 - At 8:30 pm on November 30, 2012, Trooper Chad Seamans with the Texas Highway Patrol was on patrol in the area of Seven Oaks when he spotted a vehicle that was weaving in and out of traffic and passing other vehicles on the shoulder. Seamans stopped the north-bound car in Seven Oaks. The driver Albert Achilles Hodge, 36, of Lufkin was placed under arrest by Trooper Seamans for driving with a revoked driver's license. Following proper protocol, when a vehicle is to be towed, an inventory must be taken of the vehicle's contents to protect the vehicle owner's property. When Seamans began to inventory the vehicle, he uncovered 11 lbs. of marijuana and 122 grams of cocaine. Hodge was transported to Polk County Jail and charged with possession of marijuana and manufacture/delivery of a controlled substance. The vehicle was recovered by Ken's Towing and was stored at Harrison Body Shop in Livingston. In October of this year Trooper Seamans made a drug bust in Seven Oaks and seized 7 lbs. of cocaine. 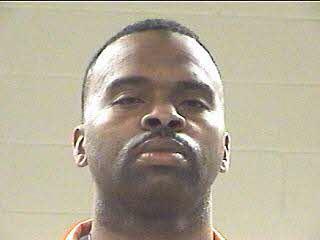 Albert Achilles Hodge, 36, of Lufkin was driving recklessly while transporting a large amount of illegal drugs. Seamans displays the goods for PolkCountyToday.com. If you wouild like to comment on this story, we'd love to hear from you. Be sure to specify which story. Your name will be posted with your comment in Letters to the Editor.